Advent Day 2 at The Learning Zoo! Good morning visitors! Thank you for stopping by! 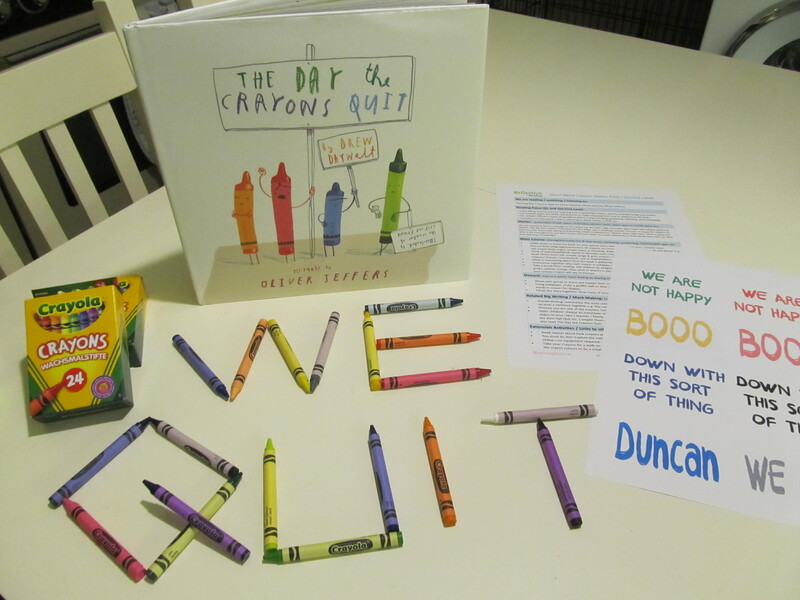 Today you have a chance to win a copy of ‘The Day the Crayons Quit’ written by Drew Daywalt and illustrated by Oliver Jeffers. Not only that, but the book will arrive along with three packs of Crayola crayons and a FULL LESSON PLAN to enable you to set up a ‘provocation to talk’ and to save you time in the classroom! To be in with a chance of winning today, all you have to do is follow Jeffrey on Twitter @thelearningzoo – he’s feeling a bit of a Nobbie No-Mates at the moment! Good Luck with The Learning Zoo!